2. Employing tutors, who visit the home to provide extra tuition for their children. 3. Taking their children out of school completely, and providing full time education for them at home, often in co-operation with other like-minded parents. Home educators are helped by the fact that often their children will already have used K'NEX and/or Kid K'NEX at primary school or at home. ♦ K'NEX can help pupils aged 5 to 16 develop skills and knowledge in curriculum areas such as maths, technology, IT and science, in a hands-on way. ♦ Kid K'NEX can also help children aged 3 to 7 develop early years skills and experience that are essential for that age group. 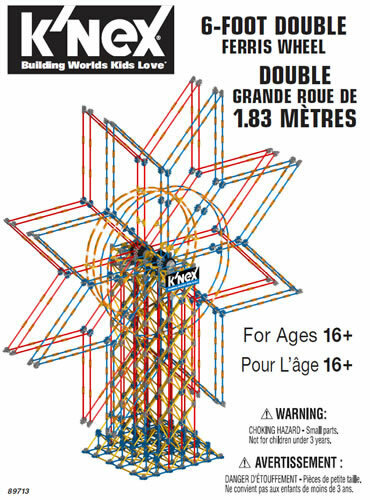 ♦ K'NEX and Kid K'NEX are relatively low cost. ♦ Any home educator who buys K'NEX will find that their K'NEX "resource" will be used time and again, in different curriculum areas, and with different ages of children (if appropriate). ♦ Asking children to work in small groups to build K'NEX models and complete K'NEX challenges also helps develop "life" skills such as teamworking skills, problem-solving skills and communications skills. 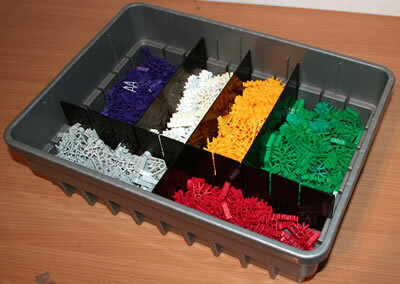 ♦ K'NEX can be used to provide extra education for children with special educational needs at home. 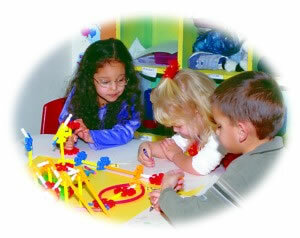 ♦ K'NEX can be used to provide extra education for gifted and talented children at home. The main curriculum areas for K'NEX are shown in the Curriculum pages, together with information on using K'NEX with children with special educational needs, and with talented and gifted children. Our K'NEX shop provides details of the many K'NEX and Kid K'NEX education sets. These sets are much larger and better value than the K'NEX and Kid K'NEX sets you can buy in the shops. The sets include general-purpose sets (such as the "Discovery Building" Set) and Curriculum sets (such as the "Exploring Machines" sets). ♦ "Using K'NEX in Home education"
♦ Once you and your children have mastered following the instructions for the K'NEX models in the teachers' guide, you may want to think about starting to use K'NEX Challenges. 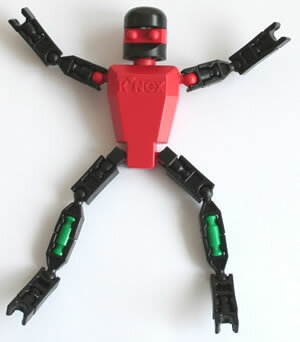 This will help you to use K'NEX to help develop your children's innovation skills and problem-solving skills. ♦ Children do enjoy building K'NEX models and completing K'NEX challenges on their own, but additional educational benefits will be gained if they can work on K'NEX activities on occasion as a team. For instance, with brothers or sisters, with other children who are being educated at home, or with parents in a "family learning" setting. ♦ You may find that your children become better at using K'NEX than you are yourself, in a similar way that children sometimes become more proficient with computers than their parents. Do not worry about this!